Whether you’re a beginner or an expert, you’ve most likely come across StudioPress’ masterpiece, the Genesis Framework. This popular WordPress framework is well known for providing a secure foundation for high quality WordPress websites that are easy to setup (and maintain), and also SEO friendly. Given it’s such a popular framework, there are a variety of plugins that have been built to extend upon Genesis. In this article, I’ll share some of the most popular Genesis plugins available. As always, try to be selective in what plugins you install to keep your site lean, just focus on features that you actually need. Genesis Responsive Slider is an excellent slider that solves the problem of no default dedicated slider. The plugin allows you to display a slideshow of the featured posts. The slideshow includes the posts’ title, excerpt, and the featured image. The slider is responsive and adjusts automatically to the target screen sizes. Responsive slider and automatic adjustment according to screen size. Drag-and-drop option to place the slideshow in the widget area. Choose desired dimensions for the slideshow of the posts. Set how the slideshow will look and function. Using the post IDs, you can feature custom posts on the slider. Open /wp-content/plugins/ directory and upload the folder genesis-responsive-slider there. Make sure that you don’t change the folder’s name. Go to the Plugins menu in WordPress Admin Dashboard and activate the plugin. Dashboard > Plugin > Add New. Search for Genesis Responsive Slider Plugin. Go to the Slider Setting from Genesis > Slider Settings. Configure the responsive slider and tweak its settings. To add the slider, go to the widget area, find the Responsive slider from the left widget screen. Once located, drag-and-drop the Genesis Responsive Slider to the desired location. Genesis eNews Extended is a simple, third-party plugin, which greatly extends the capabilities of the Genesis framework. Although it was removed in version 2.0, it’s still compatible with all the later versions. The plugin creates a widget, which integrates with mailing list service providers such as FeedBlitz, FeedBurner, Aweber, MailChimp, and several others. It’s quite easy to use. All you have to do is to select the service provider, enter the user credentials, and you’re all set. Easy integration with popular mailing list providers. Customise the subscription box through additional configuration options. Improved features and functionality as compared to the previous ‘Genesis eNews’ version. Open /wp-content/plugins/ directory and upload the folder Genesis eNews Extended there. Go to the Plugins menu in WordPress and activate the plugin. Search for Genesis eNews Extended Plugin. To add the Subscription form, go to the widget area, find Genesis eNews Extended from the left widget screen. Once located, drag-and-drop it to the desired location. Using the Genesis eNews Extended plugin is a little tricky. When connecting the form with the mailing list provider, you need to use the form code given by the service provider to add the form field ID, form action URL etc. You can view a video example where I’m using MailChimp here. Once you have it setup, I strongly recommend that you do a test run to verify that it works correctly. Integrating interactive and highly responsive navigation menus for mobile devices in Genesis-powered websites is best done through WP Responsive Menu. The plugin is based on Sidr jQuery menu plugin and packs numerous features, including customising menu colours and animations, adding logo to the menu, pinch zooming, swipe gestures, hiding specific menu items. The plugin also has a pro version that offers several additional features. The option to enable/disable pinch zooming feature. The Admin interface is extremely user-friendly and makes customising the menus a breeze. Add logo, colours, animations, and other appealing features to the menu to match the website’s theme. Open menu however you like, i.e. from right, left, and top. Easy integration with the WordPress menu system. Discard/hide unwanted features or elements on handheld devices. Add a custom search bar and alter its text to match the font and colour scheme of the overall menu. Open /wp-content/plugins/ directory and upload the folder there. Search for WordPress Responsive Menu in the search bar. 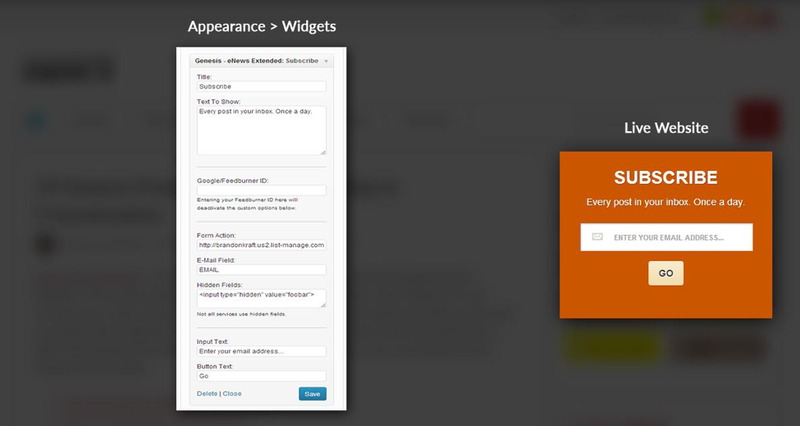 Once it’s installed, you’ll see the plugin in the left navigation bar of WordPress Dashboard. Genesis Simple Hooks is a cutting-edge plugin that allows developers to access both WordPress and Genesis hooks. When you install the plugin, a new setting page is created in the website’s dashboard, right below the framework’s menu. You can determine the content and the appropriate hook by accessing this page. You could insert content into the hooks without having to make any custom functions. Easy and simple interface to modify your current Genesis theme by making changes to the hook system. Get access to WordPress built-in and Genesis theme hooks. Open /wp-content/plugins/ directory and upload the contents of the Genesis-simple-hooks folder. Go to the Plugins menu in WordPress to activate the plugin. Find and select the hook that you want to use. Now enter the code that needs to be executed for that hook. Select whether PHP and Shortcodes need to be executed on that hook. Save the changes and check if the changes are applied on the Genesis theme. Search for Genesis Simple Hooks in the search bar. Once it’s installed, you’ll see the plugin in the left navigation bar of WordPress Dashboard and follow step 4 onwards above. Social sharing icons are a common feature on many websites. If you have a Genesis-powered website, you can easily include social sharing buttons by installing this plugin. Genesis Simple Share is an official release from StudioPress, and offers several configuration options, enabling you to customise the look of social sharing icons for individual posts. Change the order of social sharing icons through simple drag-and-drop. Light and fast in performance. Choose the types of posts on which this plugin will be active. Special settings for Twitter that enable the user to put their username on the Twitter icon. Download the Genesis Simple Share plugin. Go to your WordPress Dashboard and upload it as a new plugin. You can also upload this plugin through FTP to the wp-content/plugins folder. Search for Genesis Simple Share in the search bar. Whenever you set up a child theme on the parent install, you’ll notice that configurations about the post info, the footer area, and the post-meta are pre-set. The problem is that Genesis does not provide a way to modify these three areas as per the requirements of the individual posts. This is where Genesis Simple Edits comes in handy, as it allows you to edit and modify these areas very easily. You can edit the three fields by going to the admin screen and making changes to the HTML, Shortcodes, and the text in the text boxes. Free, lightweight and extremely simple to use. Enables the user to quickly modify the footer, byline, and post meta information with custom details. Saves the hassle of writing PHP functions, tweaking the hooks, or using filters. Open /wp-content/plugins/ directory and upload the contents of the Genesis-simple-edits folder. Go to Genesis-> Simple Edits. Edit the three fields with custom information. Search for Genesis Simple Edits in the search bar. Are you looking for a solution to create an online store using both WooCommerce and Genesis? Well, your search ends with this plugin. 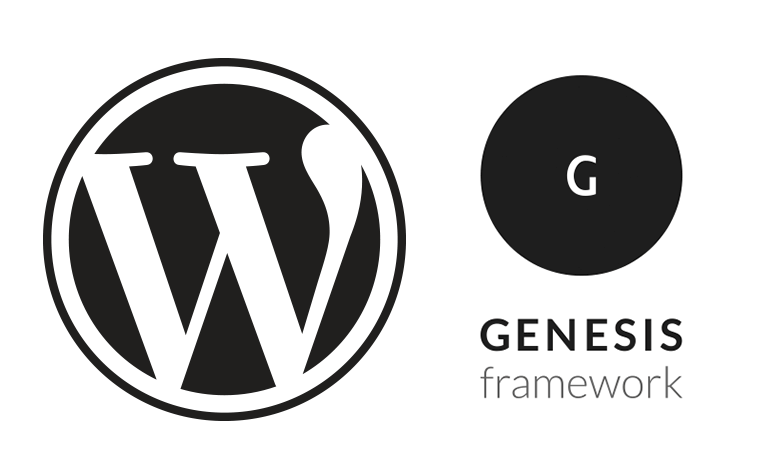 Genesis Connect for WooCommerce enables you to incorporate WooCommerce functionality and features in the Genesis child themes and framework. You can easily use customised designs for tag archives, products and their categories, and the main shop pages. Makes Genesis Simple Menus and Genesis Simple Sidebars compatible with WooCommerce. Supports customisations that the user can incorporate at the template level, ensuring that none of the changes are lost in the future. Compatible with Genesis, WordPress, and WooCommerce 2.1+ versions. The plugin is available for free and is created by StudioPress developers. Allows you to display product lists and works perfectly with the e-commerce platform. Note that before you install this plugin, a Genesis child theme must be activated on the framework and WooCommerce must be installed on your system. Open /wp-content/plugins/ directory and upload the contents of the Genesis-connect-WooCommerce folder. 2.Make sure that you don’t change the folder’s name. 3.Go to the Plugins menu in WordPress to activate the plugin. 4.Add the code add_theme_support( ‘genesis-connect-woocommerce’ ); to the functions.php file of the Genesis child theme. 5.Check whether the new templates are working properly on your shop pages. Search for Genesis Connect for WooCommerce in the search bar. Genesis Framework somewhat lacks in the variety of page layouts, which is why installing the Genesis Layout Extra plugin is the best option for adding extra layouts. It’s a very lightweight plugin, that enables you to easily change and modify default layouts for archive sections, singular pages, search results pages, homepage, attachment pages, author pages, and the 404 pages. You can give the website a completely new look by selecting creative layouts from a wide range of options for the aforementioned pages. Up to 9 new layouts. Modify default layouts for homepage, search, attachment, various archive, and 404 pages. Layouts available for posts that are created by other plugins in the framework or other third-party authors. Layout settings for the Genesis compatible bbPress 2.x forum plugin as a bonus feature. Open /wp-content/plugins/ directory and upload the contents of the Genesis-featured-page-extras folder. Make changes to the default layout by going to the Genesis Theme Settings menu on the left-hand and selecting Layout Extras. Search for Genesis Layout Extra in the search bar. Do you want to customise the Genesis child theme exactly the way you want it to be? Genesis Visual Hook Guide allows you to locate the Genesis filter, markup and action hooks in the current child theme easily and quickly. Works great with Genesis Simple Hooks. A drop-down menu is added in the admin bar once the plugin is installed to allow the user to select from the three hook options, and find their location. Open /wp-content/plugins/ directory and upload the contents of the Genesis-visual-hook-guide folder. Once it’s installed, you’ll see the plugin in the left navigation bar of WordPress Dashboard under Genesis. So there you have it, these are some of the best plugins for Genesis powered websites. You can easily use a combination (or all of them) for customising Genesis based projects and greatly enhance the user experience. If you have any other Genesis plugins that you use in your builds, please share them with us in the comments below. Danish Ashrafi is the Community Manager at Cloudways, a company that specializes inÂ WordPress Hosting. Danish loves front-end development and designing websites based on WordPress.